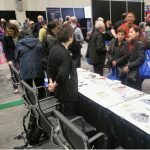 CPFF participated at the Toronto ZoomerShow during the Oct 28-29 weekend. 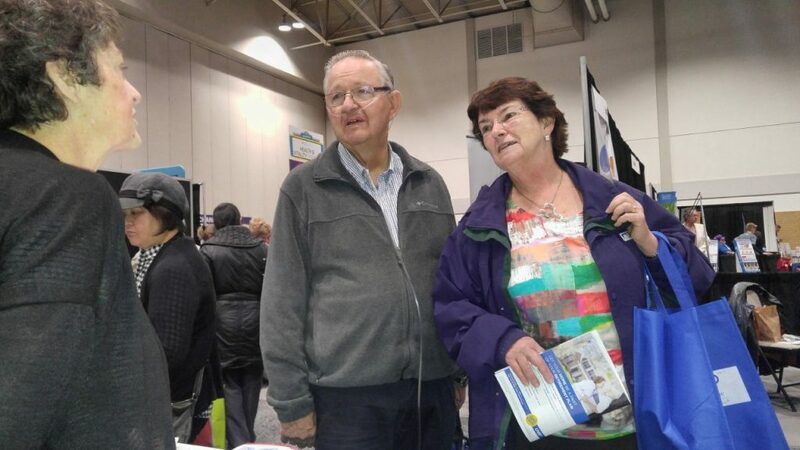 Hosted by Hoffman-La Roche at their fightipf.ca booth, CPFF volunteers were available to talked to the over 600 visitors to the booth over the weekend. Some of the visitors were those living with IPF or some form of pulmonary fibrosis. 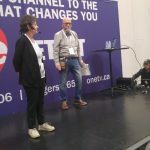 CPFF Director Stephen Binch and Vice-Chair & Director Barbara Barr gave a talk both days on IPF awareness stressing the importance of an early and accurate diagnosis. 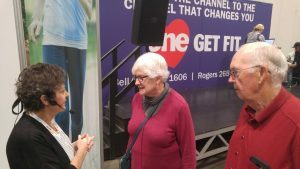 Stephen spoke about some of the difficulties in getting that accurate diagnosis since many of the early symptoms are also present in other diseases including other lung diseases. While Stephen stated that there was no cure for IPF, he spoke about the Hope that the two drugs provide by slowing down the progression of the fibrosis. 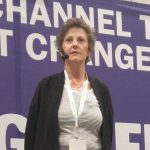 Barbara spoke about the importance of getting that diagnosis through Knowledge that leads to Power – Power to Advocate for one self’s or a loved one. 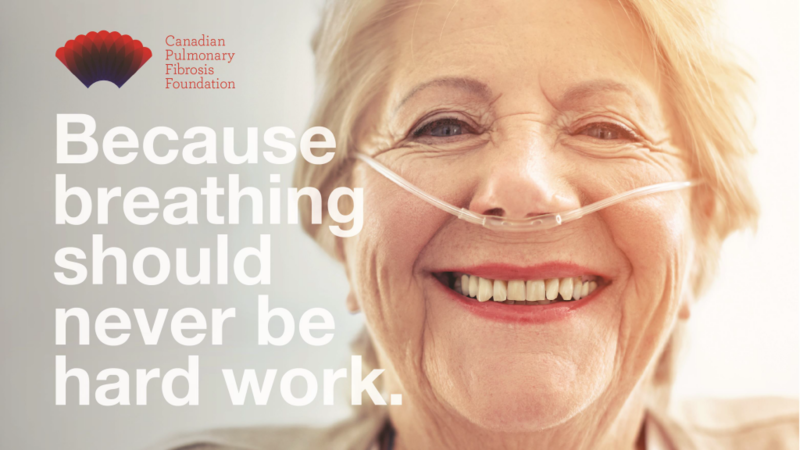 She also encouraged those living with IPF or any chronic/terminal disease to seek Support be it from family and/or friends or those online support or support group meetings. Support can help us to feel Empowered – to gain control over their own lives, increasing their capacity to act on issues that they themselves define as important. Empowerment leads to Engagement – leading to improved healthcare outcomes. 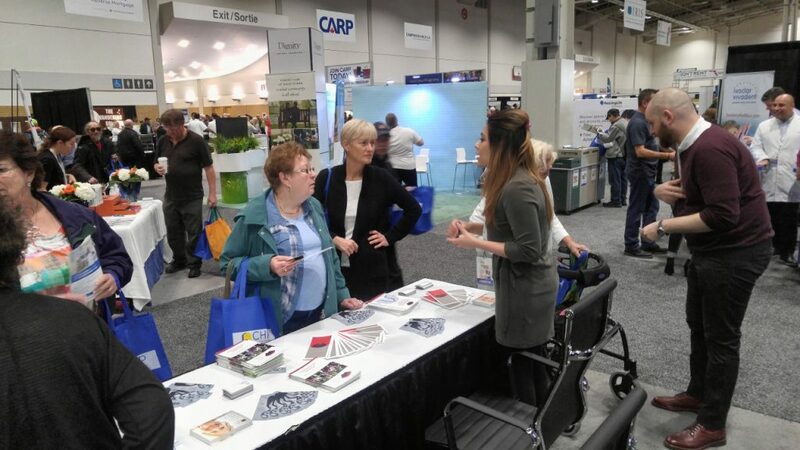 Barbara ended by letting people know that not only could they find more information at cpff.ca but also support. 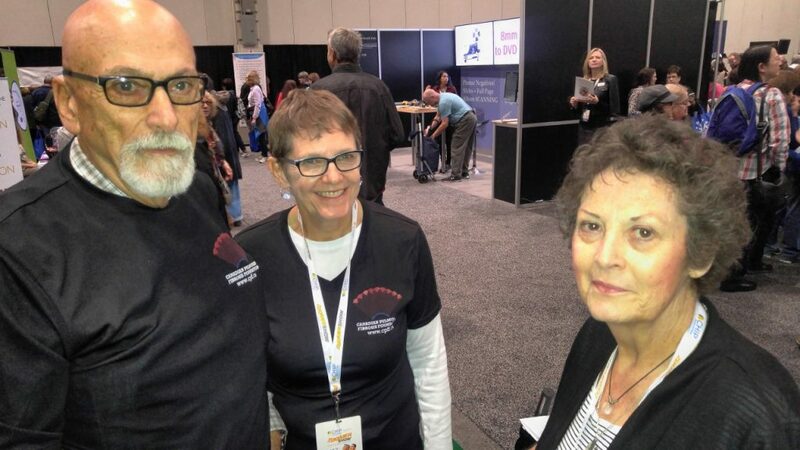 Barbara was very excited to meet and talk with Ruth Wright and her husband who attended Saturday’s presentation. 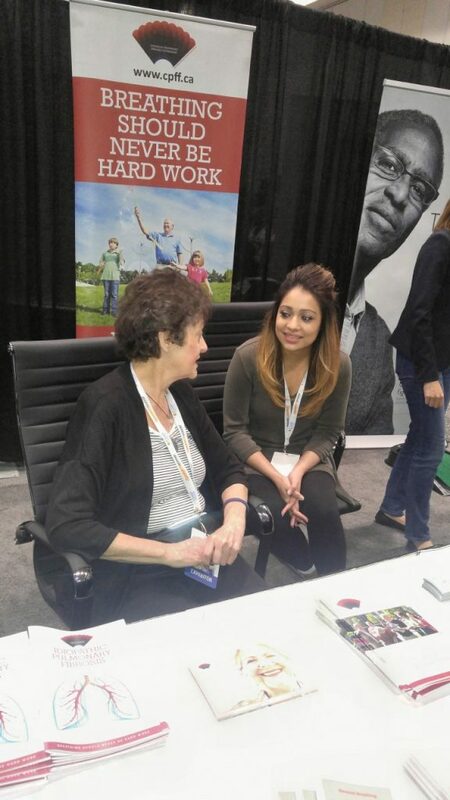 Ruth was the social worker when Dr. Shaf Keshavjee when he started the current lung transplant program at Toronto General Hospital. 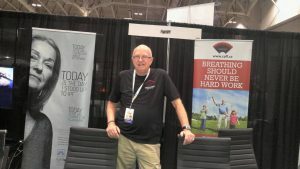 Thank you to all the CPFF volunteers and special thanks to Malcolm Haylock, Barbara’s husband, who attended as our official CPFF photographer. And thank you to fightipf.ca for bringing awareness.